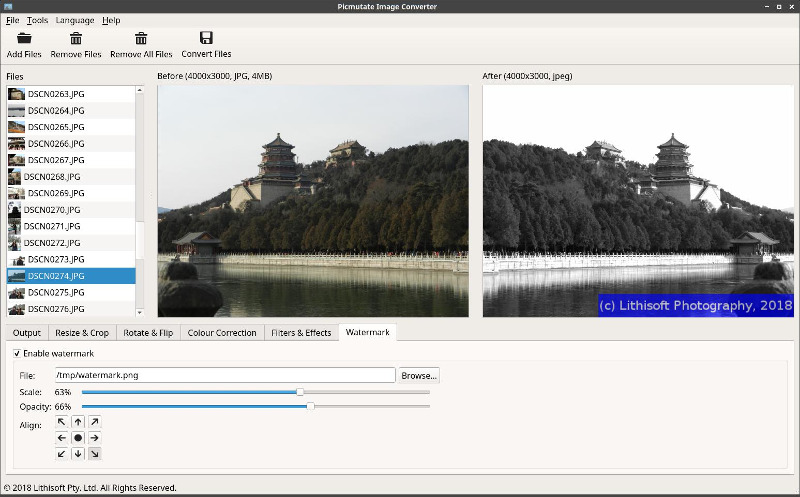 atch image file format converter and editor. - Process many files at once. - Uses multiple processor cores for fast processing. - Convert to different file formats. - Adjust the encoding quality of the output files. - Resize, crop, flip and rotate. - Adjust the brightness, contrast, gamma, saturation and hue. - Apply image effects and filters. - Add a watermark overlay to all of your images at once.